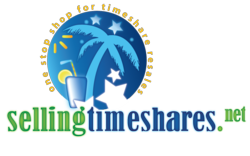 Selling Timeshares, Inc., a licensed Real Estate brokerage who specializes in timeshare resale is offering listings on their new website at no cost, with no obligation to sell. You wouldn't pay your Realtor before they have successfully sold your house, why pay upfront for a timeshare listing? Selling Timeshares, Inc., a licensed Real Estate brokerage who specializes in WorldMark resale is offering listings on their new website at no cost, with no obligation to sell. The brokerage has chosen to take a different approach to resale. The industry today is rampant with timeshare scams that are little more than get-rich-quick schemes, generally hatched by unlicensed and unscrupulous agencies aiming to separate owners from their hard-earned dollars without providing any service. These scams can be as simple as charging a listing fee for a property that the agency knows they can't sell, or contrived as telling an owner they have a buyer who is willing to pay close to (sometimes even over) the full retail price of the ownership. When the owner accepts the offer, they are asked to place a sum of money in escrow for closing costs or title search fees. The unfortunate fact is that these owners usually never recoup the money lost, go on not knowing who to trust and are still paying on a timeshare they either can not afford or can not use. Megan Van Norman, a licensed agent at Selling Timeshares, Inc. posed the question, "You wouldn't pay your Realtor before they have successfully sold your house, why pay upfront for a timeshare listing?" Selling Timeshares, Inc. aims to help the people who have been victimized in these scams by providing a commission only resale listings. The company offers to list the ownership on your behalf and earn a commission only upon the sale of the ownership. The seller will pay no upfront or listing fees of any kind, and is not obligated to accept any offers that are presented. They will also not be locked into an exclusive listing agreement, meaning they can listing the property anywhere they wish. With a non-exclusive listing, the owner can work to sell the property themselves and not pay commission, but still maintains the best exposure for their property. Alternatively, the company can forward a no-commission offer to purchase the ownership from the seller. This can greatly expedite the process, which allows owners to stop paying maintenance costs sooner than later. Essentially any owner could sell their WorldMark ownership immediately, offering a liquidity to the product not commonly seen in the resale industry. David Van Norman, licensed agent for the company said, "We are proud to consistently net our clients the most money for their account, meanwhile offering this risk-free approach to selling your WorldMark timeshare."